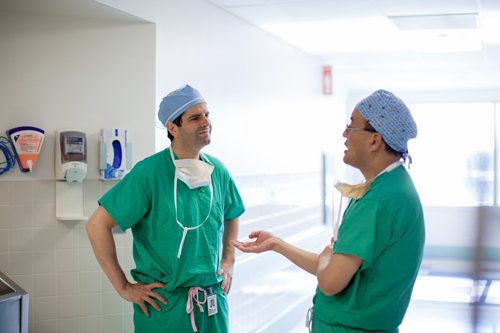 The residency program in plastic and reconstructive surgery at Montefiore Medical Center/Albert Einstein College of Medicine is an ACGME accredited training program that provides a comprehensive educational opportunity that is comprised of structural education, research and clinical experience. The program is led by Evan Garfein, MD, Chief of the Division of Plastic and Reconstructive Surgery and a nationally recognized plastic surgeon specializing in microsurgical and complex reconstruction. The program currently offers an integrated residency training pathway. The early work of such distinguished plastic surgeons as Michael Lewin and Ravelo Argamaso, led to the foundation of Montefiore as of one of the oldest continually active craniofacial centers in the world. In the early 1970s, the Division of Plastic Surgery was also the first EMS-designated replantation center in the Northeast and the first to perform microsurgery in this area, including peripheral nerve surgery. Montefiore is currently one of only two replantation centers in New York City. In addition, one of the city's major burn units, staffed by plastic surgery attendings and residents, is located at Jacobi Medical Center and cares for about 200 patients annually.